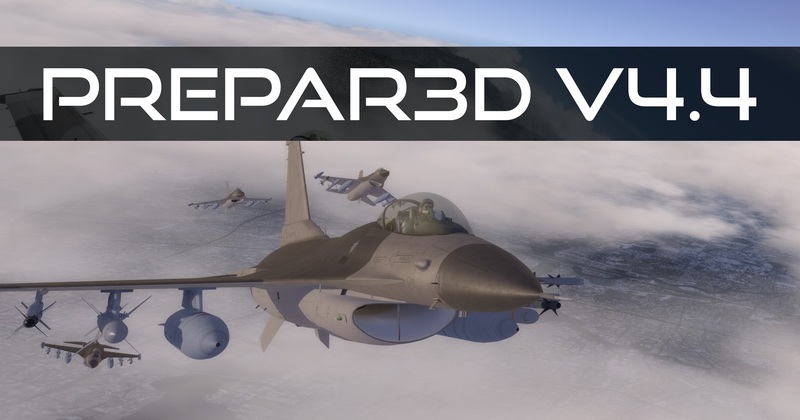 As expected, Lockheed Martin released Prepar3D v4.4 yesterday. The developers had already announced the update for the popular flight simulator on Tuesday. For the first time Physically Based Rendering (PBR) has been includet into the program – and with it the faithful representation of materials. Learn more about the other important new features in the full article. Existing customers will find the update as usual in their customer account. Also with this update for Prepar3D v4: A new installation of the simulator including all add-ons is not necessary. How exactly you can update your simulator stress-free is explained in our tutorial. Besides the introduction of Physically Based Rendering there are some other important new features. The flight simulator can now render photoreal ground textures with a resolution of either 512×512 pixels or 1024×1024 pixels. This should massively improve the quality of photo sceneries. Lockheed Martin speaks of a level of detail up to 16 times as high as before. It is also possible to configure the so-called Scenery Draw Distance. 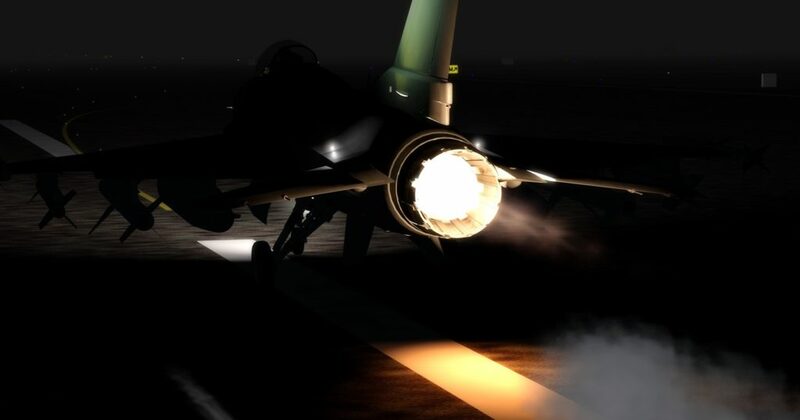 The new PBR effects can be seen particularly well in the afterburner of the F-16. Lockheed Martin also promises a better night illumination based on the moon phases, and add-ons can now be activated or deactivated without restarting the simulator. At the content level, the F-16 has been fully equipped with PBR textures, giving all users a taste of the new feature. It will probably take some time until all developers have adapted their add-ons accordingly. Nevertheless, some studios will already be working on PBR textures for their own extensions. We will keep you up to date. Additionally there is the AC11 Commander from Carenado, as a new standard airplane. The complete changelog for Prepar3D v4.4 can be found here.